I hope you all are doing well! Today I have a review of LashEm Extensions In A Bottle for you! I never was a huge fiber mascara person because I had tried some really cruddy ones in the past when they were first SUPER popular, but I wanted to give this one a chance because I've heard some great things about LashEm! I've got I would say medium length lashes, so I'm always looking for something to make them look longer. Who isn't though?! My lashes also like to be stick straight and I have the worst time trying to get them to stay curled, even using a waterproof mascara to set them doesn't help a lot of the time. "Get the long lashes you want – in two quick steps. The bonding fibers and primer in these brush-on extensions attach to your lashes to create a fuller and more dramatic look. 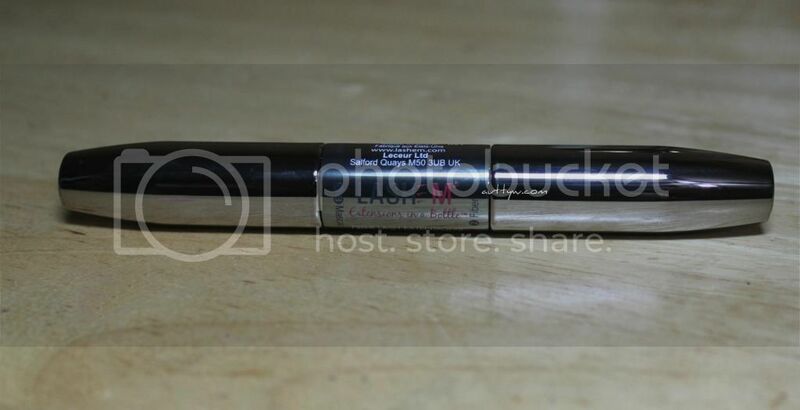 Volumizing mascara formula contains lash enhancing serum, resulting in healthier, stronger lashes through continued use. " 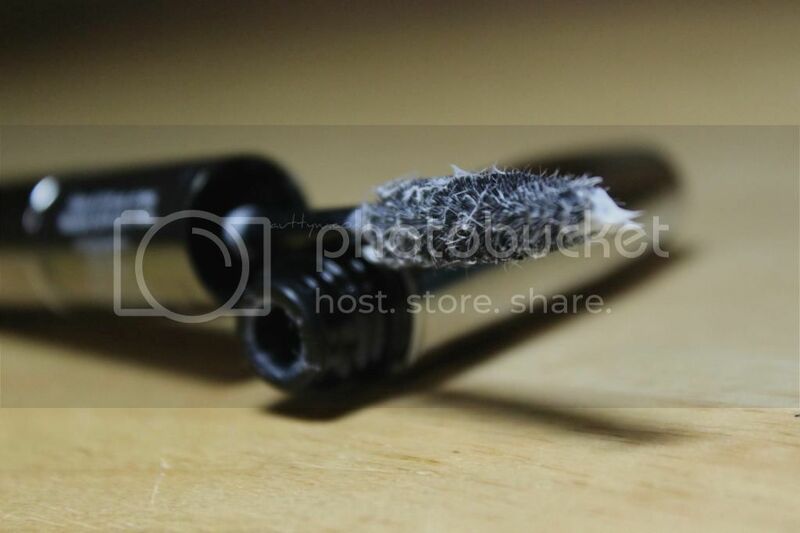 As you can see in the above picture, the mascara tube is dual ended. 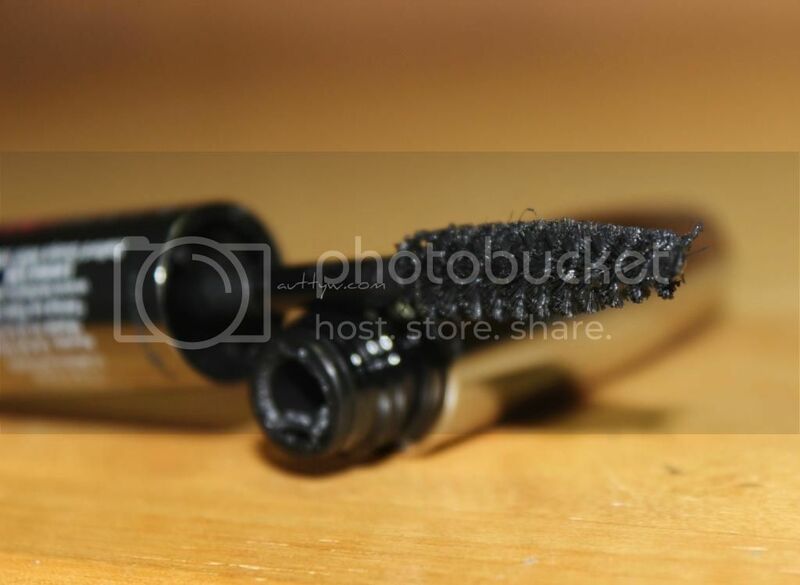 One end contains the fibers and the other end contains the actual mascara. The Application is easy you apply the mascara, fibers then another coat of mascara to seal the fibers in. That's pretty standard when it comes to fiber mascaras. Brush wise as you can see in the picture above and below, the want itself is a standard mascara wand. Don't be discouraged by that, its more about the product then it is about the applicator anyways. The mascara portion is not too wet but not too dry, it's right in the middle. I prefer dry mascaras because they don't transfer onto the lid and all of that stuff us makeup lovers encounter with wet mascaras. HOWEVER, I am in love with the formula of this. It's dry enough to be easy to apply but wet enough to give your lashes a pretty decent amount of product with the least amount of effort. Now, keep in mind this is NOT waterproof or water-resistant. So don't wear this in the pool, or in the rain. I'm sure if you topped it off with a waterproof mascara you'd be fine though! The fiber portion of the mascara is interesting. When I was first trying this out I was not able to get the fibers to actually stick to my lashes. I was pretty discouraged until I realized that it was all user error. After playing around with this mascara, I realized that the mascara itself needs to dry for a few seconds (10-15seconds) to get the maximum amount of fibers sticking to the lashes. I really do like the fibers. I like the fact that they're wet, I've seen some fiber mascaras where the fibers are LOOSE and messy. This in my personal opinion is perfect. Very easy to apply. In the picture set below, I've shown you the application process. 5) 2nd application of mascara. 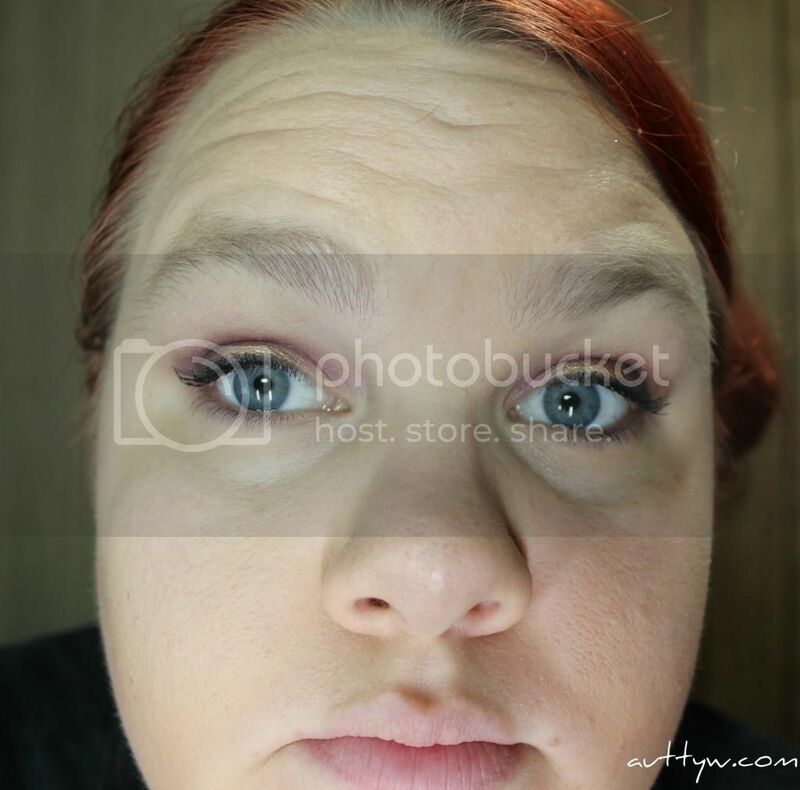 I'm sorry about the funky angle of the last picture, I know it doesn't look like there are a lot of fibers on my lashes, this was taken when I didn't let the mascara set for those few seconds. In the picture below you can see my lashes in their full glory. I know they don't look insanely impressive in the picture but in real life, the difference is amazing. This has turned into my go-to mascara that I can't see myself without! I read some reviews where people used a hair dryer with this mascara and their other mascaras. I'm sorry maybe I'm out of the loop but WHY on this Earth would you use a hair dryer on your lashes?! I mean really now. Now, I've been testing this for a few weeks and since LashEm is about healthier, stronger, longer lashes and all of that jazzy stuff I wanted to let you all know what I've experienced upon continued use. My lashes have gotten fuller as well as they've gotten pretty long since I've been using this. Now I don't wear makeup on the daily, maybe once a week, or when I'm working on looks for blog posts (which I don't usually wear mascara in anyways, but have been recently) My lashes actually like to hold a curl now and oddly enough have a natural curl to them as well. I'm pretty pleased with this mascara as well as I'm pretty pleased with the growth and just better health and look of my lashes themselves. I say if you have a chance to try this mascara out, go for it! It's pretty dang amazing. Nice to hear you've been loving this mascara.! I'm not crazy about mascaras with fibers in them! But it does look good on you, friend!